There’s something to be said about traditional things. They’re timeless, they bring us to a simpler time, and they remind us of what’s important. But on the other hand, modern offers a certain pull to it, it keeps us with the times, and it offers a stunning twist on classics. Our men’s designer 3mm traditional domed polished finish 10K white gold wedding band is the perfect mix of modern and classic for an elegant choice that your groom is sure to love. We kept the classic, simplicity of a standard polished band, but added a modern twist with the white gold metal. The color is more modern, but will also stay timeless throughout the years. This ring is an obvious choice for the traditionalist at heart. The graceful 3mm wide band makes for a classic and affordable choice. That’s right, this stunning piece will not take up the rest of the wedding budget. Instead, you can easily save, and still get a high-quality piece that your groom will love wearing every day. 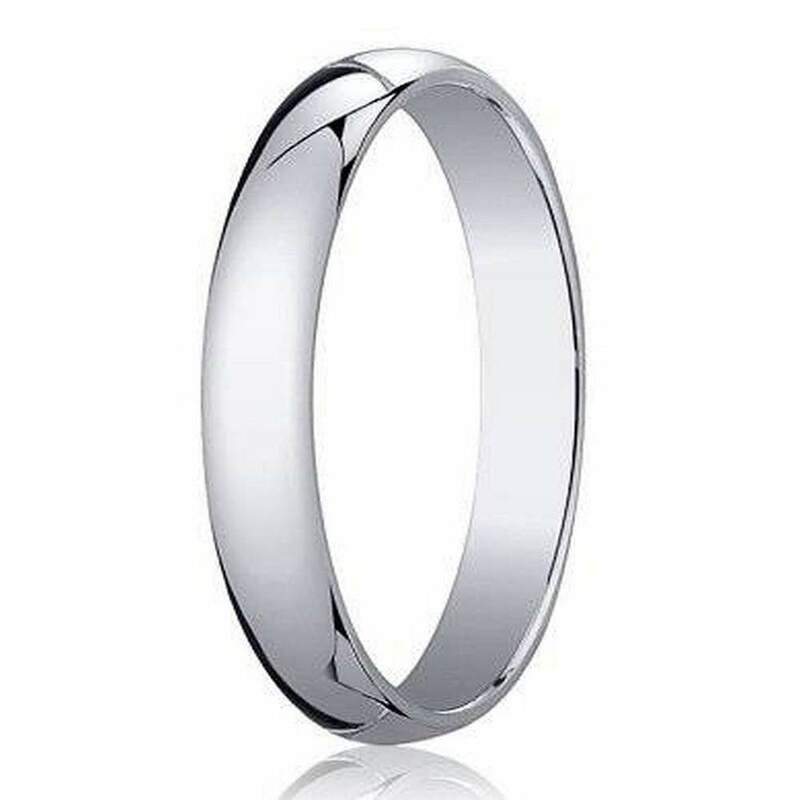 Our men’s designer 3mm traditional domed polished finish 10K white gold wedding band is easily a fantastic choice for a groom who wants a simple piece of jewelry to express his love. He knows that it’s not necessarily about the ring, but it’s about the commitment to spend his life with you. To make this even more special for the two of you, we offer custom engraving. Add up to 30 characters to make this a one of a kind ring for your soulmate.